When mixing any audio program, it is no doubt that a good set of studio monitors in a well-treated acoustic space is the best way to go. But there are times, like at live concerts or sporting events, when the mix has to be done on headphones. Here are some tips of how to overcome issues with headphones on a live mix. Headphones are excellent for reference and exposing tiny details in any audio project. But, as opposed to loud speakers, they also bring a set of their own issues. Headphones have an unnaturally wide stereo image, a skewed frequency response and a lack of crossfeed between the left and right ears. How does one overcome these limitations? Sweetwater Sound, the Fort Wayne, Indiana-based pro audio dealer, offers some tips for pro audio mixers forced to mix on headphone. Sweetwater’s tips begin with avoiding hard panning. When listening to studio monitors, the sound from the left speaker reaches not only the left ear but the right ear as well (and vice versa). Because of this, hard panning a track on loudspeakers doesn’t completely eliminate it from your opposite ear. Headphones are different. When a track is hard panned on headphones, the sound is completely absent from its opposing channel. That’s why mixers should try to minimize the use of hard panning when mixing on headphones. This way every sound in the mix will exist, at least to some extent, in both channels. This will lead to a more natural sound. Headphones also create an unnatural sound field. The audio seems to be emanating from inside the head rather than around you. The frequency response is also far from flat. This is where software comes into play. 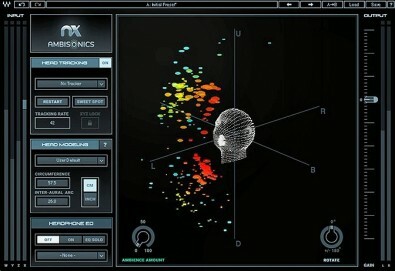 To compensate for these issues, software products like Waves Nx ($99) and Sonarworks Reference 4 ($99) can help. Waves Nx resolves crossfeed issues, faithfully mimicking the depth, natural reflections and stereo imaging of a high-end set of studio monitors placed in a top-shelf acoustical space. Sonarworks Reference 4 overcomes the physical limitations of headphones, helping achieve a flat frequency response so operators can make informed mixing decisions. While mixing on studio monitors, it’s a good idea to use headphones to check the mix when finished so a few final tweaks can be made. This is the easiest way to ensure that a project sounds good through both speakers and headphones. The same concept applies when mixing on headphones. When possible, use a set of speakers for a periodic reference check. Otherwise, it is easy to end up with a mix that sounds good on headphones but not so good everywhere else. Closed-back headphones are great for tracking, since they prevent sound from escaping and leaking into the microphone. They also trap pressure inside the headphone, creating false low frequencies. While this bass bump makes listening for pleasure more enjoyable, it also skews the perception of the mix’s frequency response. Sennheiser HD650 open-back headphones provide a frequency response, which is key in live mixing environments. 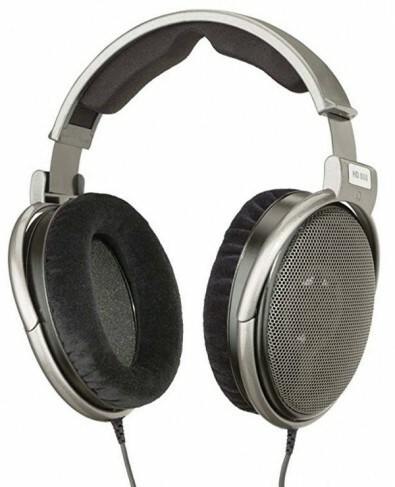 Open-back headphones like the Sennheiser HD 650 ($489.99) and AKG K712 Pro ($499) work better for critical applications. Their flatter frequency response will help users make better choices while mixing. When using studio monitors, audio engineers spend top dollar on speakers, monitor controllers and pro-level D/A converters. This is because if you can’t hear it, you can’t mix it. The same holds true when mixing on headphones. The entire chain should feature top quality professional components. Rupert Neve RNHP headphone amplifier. Headphone amplifiers are essential for this level of work. Some excellent ones are the The Rupert Neve Designs RNHP ($499), the Little Labs Monotor ($540), the Apogee Groove ($295) and the SPL Phonitor 2 ($2199) . The Phonitor 2, for example, combines top-shelf headphone amplification with a loudspeaker emulation that adds crossfeed and spatial processing to the monitoring experience. SPL Phonitor 2 headphone amp. When using headphones, retain safe volume levels (optimal is 70dB–85dB). This is vital. Headphone users should keep track of listening levels. When one feels the urge to increase the volume, take a break instead. Not only will this protect the ears, but it will combat listening fatigue. Professionals with long careers follow this advice carefully. Though nothing can replace a quality set of studio monitors and a proper acoustic space for mixing, using headphones is not impossible. In fact, it is done by professional audio operators all the time in a wide range of applications. Just be aware of the differences between headphones and speakers. For more information on monitoring with headphones, see the articles below.